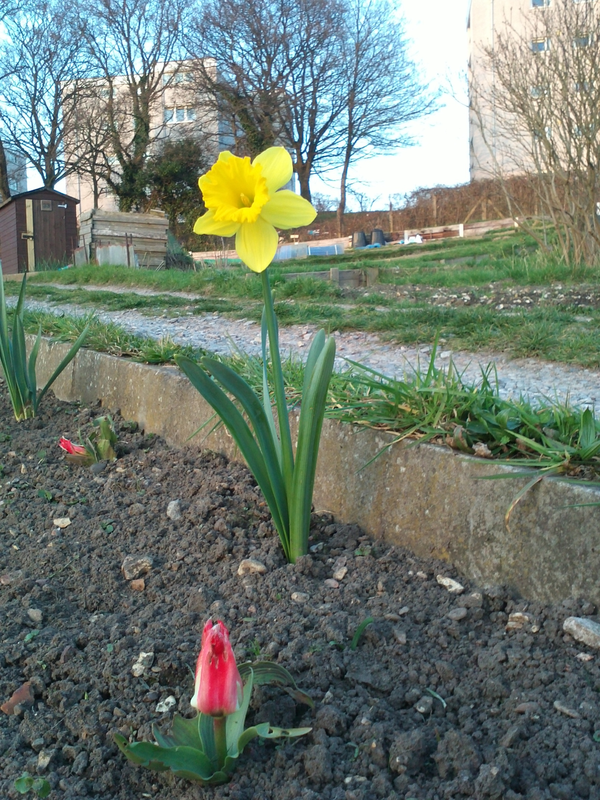 Stunted tulips, graceful daffodils – harbingers of spring this chilly time of year. The age old cycle of rebirth and renewal, played out by planting dry bulbs in the fall, letting the chill fingers of winter spur them back to life. Sunshine, water, and a little fertilizer is all it really takes to bring beauty into the world. Everyone had enjoyed the extra bounty this last harvest – tomatoes, zucchini, peas – all had been prolific. Alice smiled as she recalled the last words Rich had said to her. She’d take her garden over that bad seed any day. Lovely story, yes I would take the garden too! Thanks! It was a lot of fun to write! Blood and bone, great fertiliser. Nice one Erin, you took it off in a different direction with masterful ease. I was channeling you this week, Sandra! It was fun thinking of how she did him in. Thanks – it’s fun when the story has a surprise. I’m glad you enjoyed it. Yikes. She is a dab hand with the fertiliser. Very cleverly done. I like the tongue-in-cheek tone – ‘Nitrogen Rich’ indeed! Heh heh…Alice knows how to solve her problems. LOL..I’m guessing he got what he richly deserved. Yes, he did. Thanks for reading! Thanks, Lori! I’m glad you enjoyed it. Thank you, Siobhan! I’m glad you enjoyed it. Sounds like Rich was good for something after all. Love the twist.